Looking for an original gift idea for a woman? Here are Nomination’s tips for choosing jewellery that’s 100% Made in Italy, trendy and beautiful. The Nomination collections include jewellery and accessories that fit the needs of every woman and girl: bracelets, necklaces, earrings, rings, and watches. If you’re looking for a truly special gift, go with our iconic personalisable Composable bracelet: choose the Links, charms and symbols you want to compose your message and create jewellery that’s unique for a special woman such as your girlfriend, wife, Mum, or a close friend. For the perfect anniversary or birthday gift, or just because you want to give her something original, discover our selection of women’s jewellery. Is it almost your girlfriend’s birthday and you’re looking for a really special gift? Want to surprise a friend with a little something thought up just for her? 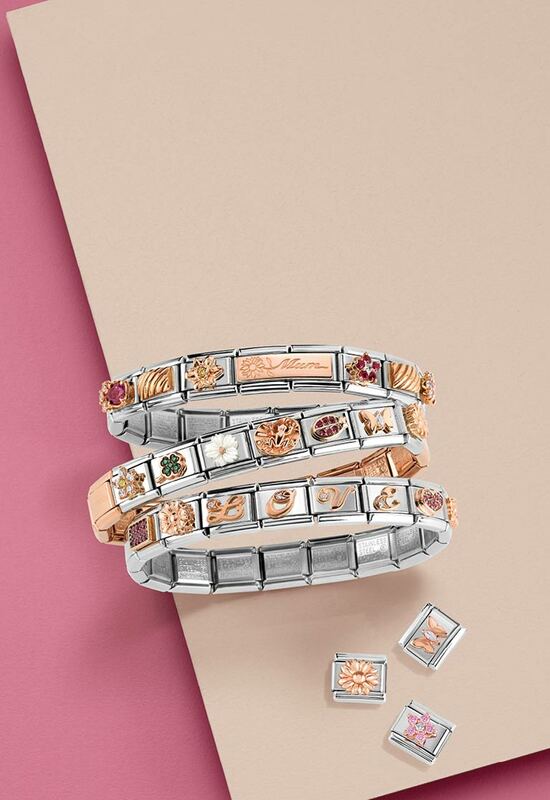 We suggest you choose a precious bracelet. 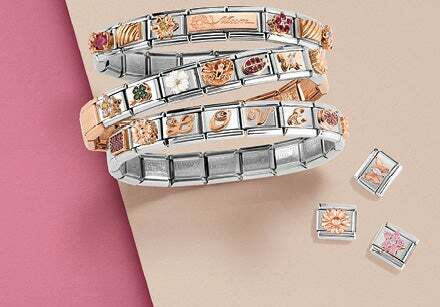 There’s one for every style: from Composable, unique and original, to stretch bracelets decorated with charms, symbols and brilliant gemstones. Looking for an elegant accessory for a special woman? Among our bracelets in stainless steel, sterling silver and gold you’ll find models with a lot of class and minimal, contemporary design: for example, Bella bracelets are decorated with sparkling Cubic Zirconia gemstones, and delicate MyCherie bracelets are characterised by a brilliant bow charm. If you think a necklace would make the perfect gift for your girlfriend or fiancée, you’ll find tons of romantic jewellery to celebrate a special occasion. There are lots of necklaces in silver, stainless steel, and brass, and also with yellow and rose gold finishing that honour love with a special charm. Heart-shaped pendants are the perfect symbol to give her on your anniversary, and details in pearls decorate some of our most elegant pieces. Choose the jewellery that’s best suited to your better half: our selection includes necklaces for every occasion. Base your choice on the personality and style of the girl who’s going to wear it! The special woman you want to get a gift for is your long-time best friend? There are lots of jewellery options for her in stainless steel, sterling silver and with precious details that’ll make her happy on any occasion. Among Nomination’s collections you’ll find trendy earrings: both large and small, stud and drop earrings, embellished with sparkling gemstones, darling charms and pearls. If your friend has a Composable bracelet, then the perfect gift might be a precious Link to enrich this customised accessory. Our Classic and Double Links adorned with brilliant and colourful details are perfect for the woman or girl who wants to look chic on every occasion. 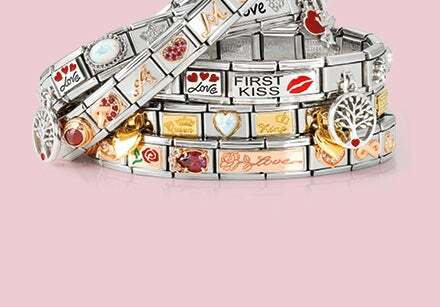 If you’re looking for a symbol which represents your friendship, go with something engraved, like the Best Friends Double Link, or with a charm that has symbols in gold and enamel, like hearts and flowers.